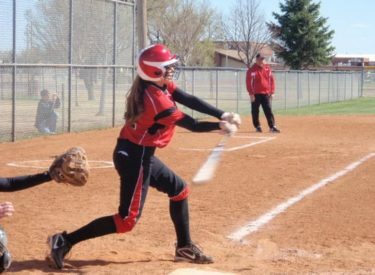 Goodland took two softball games over Liberal Monday night 16-0 in four innings and 6-1. Jai Chapman drove home Liberal’s run. Jaycee Darroch pitched effectively in game two. LHS is 1-3 while the Cowgirls are 4-0 after also sweeping Scott City. Liberal again struggled defensively in game one but played much better in game two. Riley Hay made a diving play on a ground ball to her left in game two. LHS goes to Great Bend April 12.